Since the color is so beautiful on its own, I almost didn’t want to add a design to it. But sometimes I just can’t help myself, so I went with it! 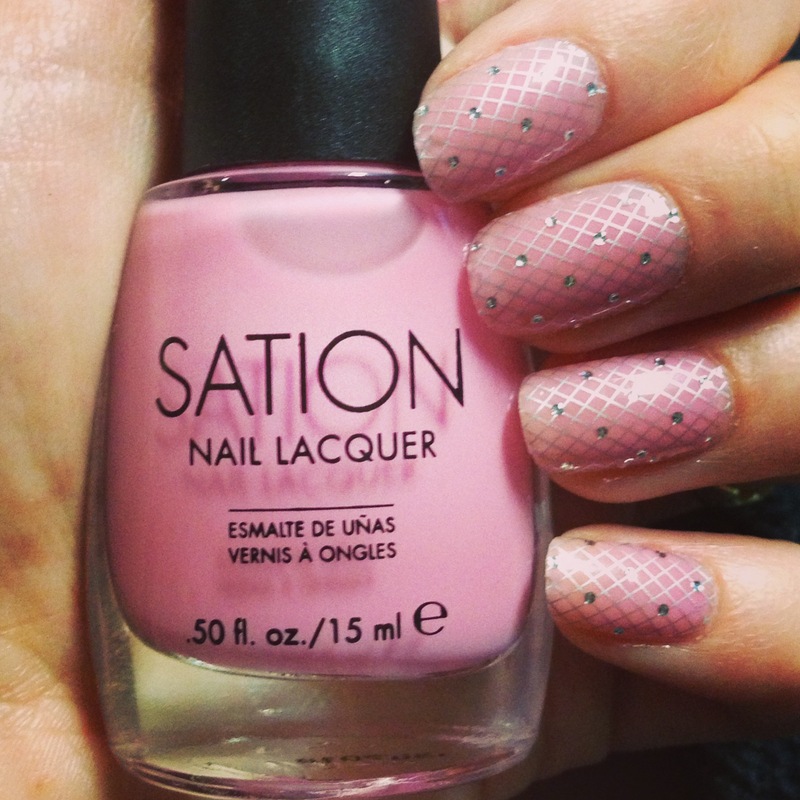 Click through to see how I got this look for this week’s Manicure Monday. I started my manicure with Nail Tek II again. I can’t even begin to explain to you how much healthier my nails are since I’ve started using it. Not only do my nails look and feel longer and stronger, but they’re not breaking! I’ve actually gone sans-manicure for about a week because I love how they look without polish now. A healthy base makes getting the perfect manicure that much easier! 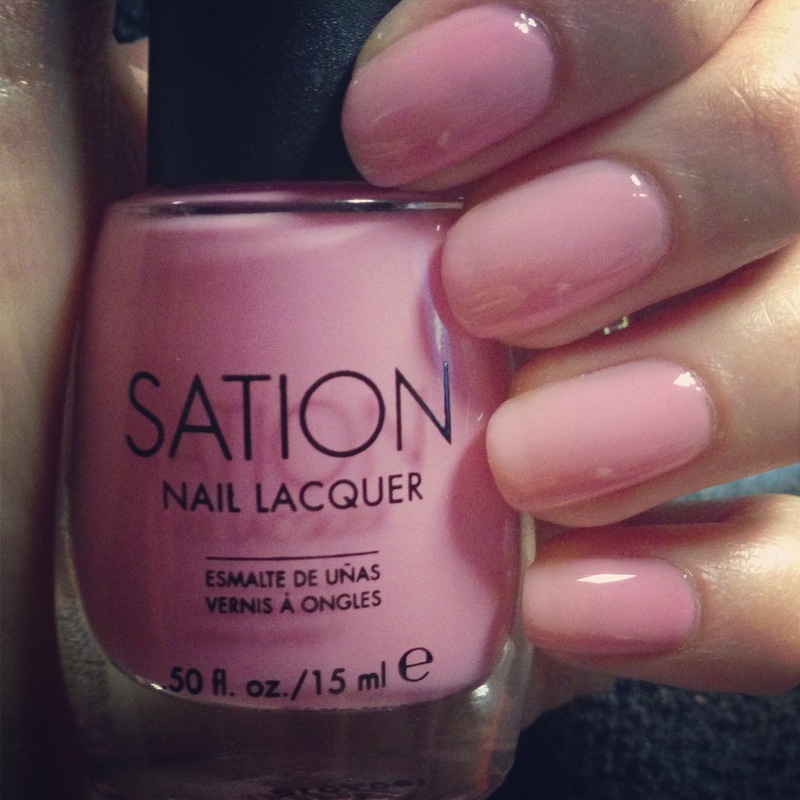 I painted my nails with two coats of Sation Nail Lacquer in Of Corset I’ll Call You. It’s almost sheer, like a jelly polish. But still opaque enough to give you color. It looks like a different type of formula than I’ve ever used before, but it’s Formaldehyde, DBP & Toluene Free, so that’s all that matters! The ever-so-stylish Kristine gave me L’Oreal Color Riche Nail Lingerie in Bling Addict for my birthday, and I’ve been waiting for the perfect moment to use them! Bling Addict was a lovely complement to Of Corset I’ll Call You, so I had to give it a go. 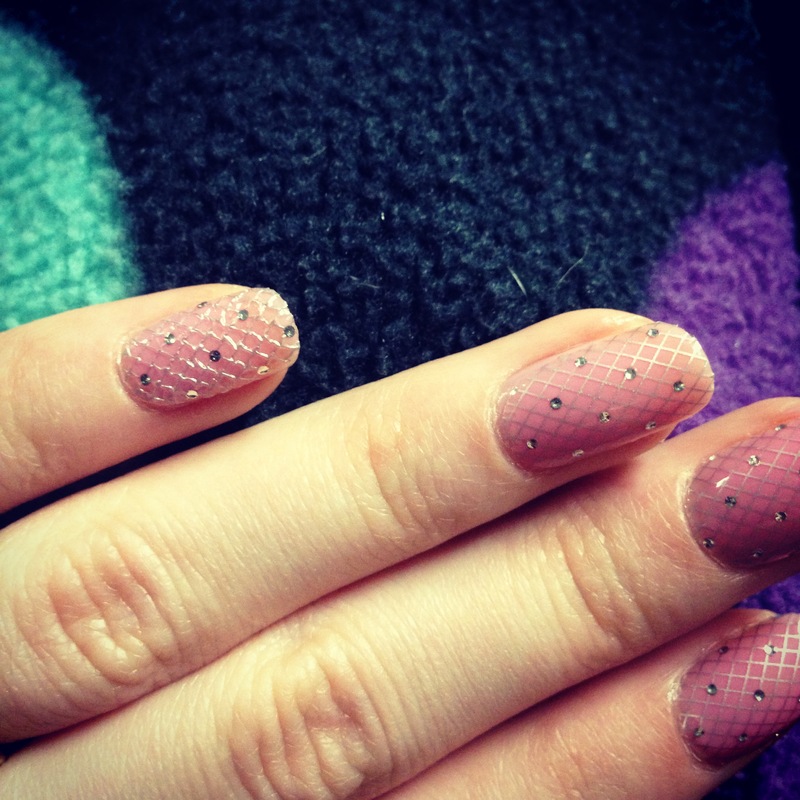 If you’ve used nail wraps or nail stickers before, L’Oreal Color Riche Nail Lingerie is very similar. Simply place a sticker over your nail, file it to fit, and you’re done! What’s cool about L’Oreal Color Riche Nail Lingerie is that you can wear it on it’s own or top of any polish you’d like, just like I did with Of Corset I’ll Call You! If you wear it over a polish, just make sure your base color is totally dry before applying the stickers. 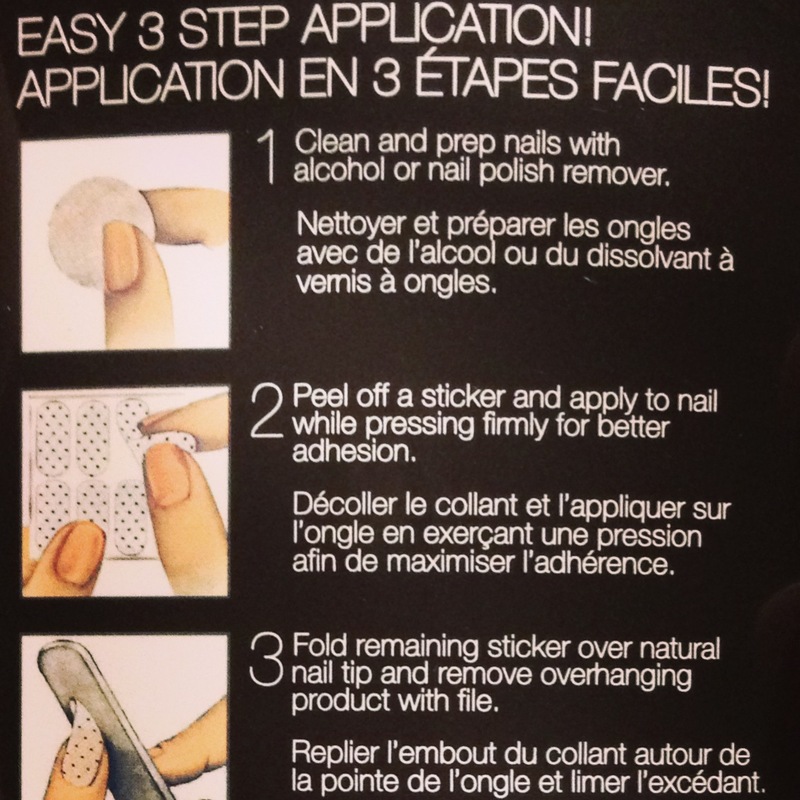 Follow the instructions on the package to a T – peel it off, place it on your nail, file away the excess. It’s as easy as that! The instructions say not to add a top coat – don’t add a top coat. I thought it would help the stickers to last longer, so I began adding a coat of Seche Vite to my manicure. The top coat actually seemed to melt the clear part of the sticker so that the design looked more like I took actual fishnet fabric and added it to my nails. You can see the little mistake to the right. It didn’t look bad, but it was a completely different look – I much preferred the manicure before I added the top coat. Show us your manicure! Tweet to us @Collaboreight!